Please welcome our new exclusive SS 19 collection revolved around the leading trends of this season. 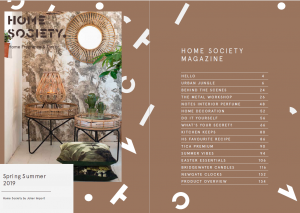 Just take a look at our magazine preview! Want to see the full magazine? Join our Society and become a retailer! Please contact us and we will get in touch with you as soon as possible. Got inspired by our magazine? Check out our Lookbook for even more inspiration!